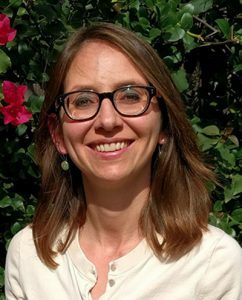 Amanda J. Baugh is Associate Professor of Religious Studies at California State University, Northridge, and Director of CSUN’s Program in Civic and Community Engagement. She specializes in the study of religion, race, and environmental values among diverse American groups. Her first book, God and the Green Divide: Religious Environmentalism in Black and White (University of California Press, 2016) examines how assumptions about race, ethnicity, and class have shaped the “greening” of American religion. Baugh’s current book project, Rethinking Religious Environmentalism: Varieties of Latinx Catholic Engagement, examines religious environmentalism from the perspective of Latinx Catholics in order to decenter dominant narratives of U.S. religious environmentalism. 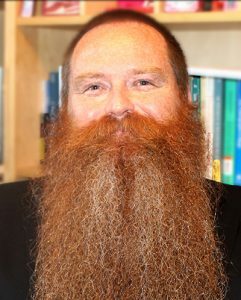 Baugh serves on the Steering Committee of the AAR’s Religion and Social Sciences Unit, and as Secretary for the International Society for the Study of Religion, Nature, and Culture. She earned her PhD in Religious Studies from Northwestern University. Anne Blankenship is Assistant Professor of Religious Studies in North Dakota State University’s History, Philosophy, & Religious Studies Department. Her research investigates religious responses to injustice and relationships between national, racial, and religious identities. Her book Christianity, Social Justice, and Japanese American Incarceration during World War II demonstrated how the injustice transformed Asian American Christianity and challenged religious and racial boundaries in liberal American Christianity. Blankenship’s current book project examines religious responses to mass immigration in the U.S. at the turn of the twentieth century. She received her doctoral degree in American Religious History from the University of North Carolina at Chapel Hill and completed a two-year postdoctoral fellowship at the John C. Danforth Center on Religion & Politics at Washington University in St. Louis. Blankenship teaches a wide range of courses, including World Religions, History of Christianity, Global Islam, New Religious Movements, American Religious History, and Religion and Politics. 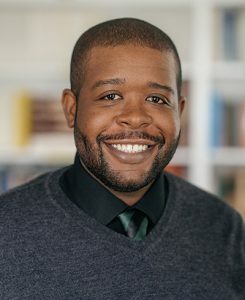 Vaughn A. Booker is Assistant Professor in the Department of Religion and the Program in African and African American Studies at Dartmouth College. His research focuses on African American religious history in the twentieth century. His first book, Lift Every Voice and Swing: Black Artistry and Religious Movement in the Jazz Century (under contract with New York University Press), explores the emergence of new race representatives in the jazz profession. The expressions of belief, practice, and unconventional positions of religious authority for these women and men reveal how they fostered a new arena and spokespersons for African American religious influence beyond traditional Afro-Protestant institutions and religious life. His second book project will center irreverence as a mode of religious belonging in African American history. Vaughn received his AB in Religion from Dartmouth College, his MDiv from Harvard University, and his MA and PhD in Religion from Princeton University, with a Certificate in African American Studies. 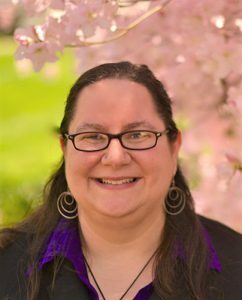 Jennifer Caplan is Assistant Professor of Religious Studies at Towson University. Her primary research is on American Judaism and popular culture. 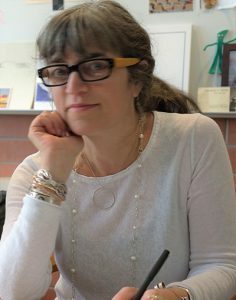 She has published essays on Jewish humor, graphic novels, and gender stereotypes in The Journal of Modern Jewish Studies, Shofar, and The Bulletin for the Study of Religion as well as several edited volumes. She is revising her monograph, currently titled All Joking Aside: Judaism and Humor from the Borscht Belt to Broad City, which is forthcoming from Wayne State University Press. 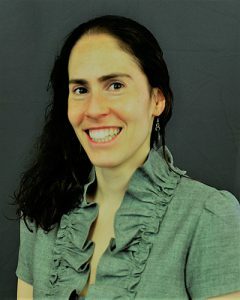 She is the Judaism section editor of Religion Compass and serves on the American Academy of Religion steering committees for The Study of Judaism and Religion, Film, and Visual Culture. She is a co-founder of the Queer and Gender Studies group for the Association for Jewish Studies. She received her BA from Wellesley College, her MTS from Harvard Divinity School, and her PhD from Syracuse University. Janine Giordano Drake is Assistant Professor of History at the University of Providence. Her teaching and research interests lie at the intersection of capitalism, Christianity, and American citizenship. She has written on the rise of Catholic and Protestant social teachings on labor, and the role of race, class, and religion in the history of the Left. Her book manuscript, War for the Soul of the Christian Nation: Christian Socialism and American Churches, 1880-1920 brings the history of the Social Gospel movement into conversation with the history of the American West. It illustrates how working people, far from centers of power, used Christianity to critique the capitalist foundations of the American economy. It also unpacks how and why Catholic and Protestant ministers who supported the labor movement ultimately defended capitalism. She is coeditor of The Pew and the Picket Line: Christianity and the American Working Class and a frequent book reviewer. 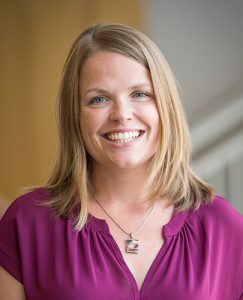 Philippa Koch is Assistant Professor of Religious Studies at Missouri State University. Her research and teaching center on religion, health, and society in early America and its global context. Her writing has appeared in Religions, Church History, and The Atlantic, and she is currently revising her book manuscript, Persistent Providence: Healing Body and Soul in Early America, which considers how eighteenth-century Christians perceived sickness and health in an era of rapid changes in medicine and science. Her next project, “Maternal Transformations: Defining Early American Women in Missions and Reform,” explores how Christian visions of maternity shifted in colonial encounters and the founding of the American republic. She was recently appointed as a Larson Fellow at the John W. Kluge Center of the Library of Congress. Koch received her MA and PhD from the University of Chicago Divinity School and her BA from Georgetown University. 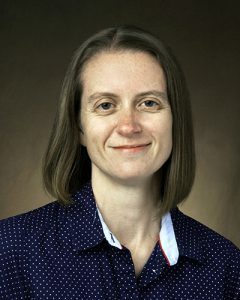 Rachel McBride Lindsey is a scholar of American Religion in the Department of Theological Studies at Saint Louis University. 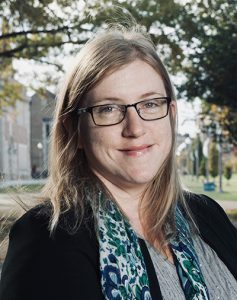 Her research and teaching focus on religion in the United States with primary expertise in visual and material cultures of religion, race, and nation. Her first book, A Communion of Shadows: Religion and Photography in Nineteenth-Century America, is the first monograph to investigate the influence of commonplace photographs in American religion in the first decades of the medium. Her recent research explores religion and race as grammars of American citizenship in the twentieth century through case studies in documentary photography, photojournalism, and other forms of media that orchestrate material objects as registers of the sacred, variously defined, into their visual claims. Her scholarship has been published in several refereed journals and collections and she also codirects Lived Religion in the Digital Age, a three-year project funded by the Henry Luce Foundation. Lincoln A. Mullen is Assistant Professor in the Department of History and Art History at George Mason University, and the Director of Computational History at the Roy Rosenzweig Center for History and New Media. He is the author of The Chance of Salvation: A History of Conversion in America (Harvard, 2017), which received a prize for Best First Book in the History of Religions from the American Academy of Religion, and his research has appeared in the American Historical Review. He is researching questions about how religious traditions are formed and inherited, and how religious groups interact with one another to create ecologies of religion. He applies digital history methods, especially mapping and text analysis, to the study of American religion. He is currently working on a digital monograph titled America’s Public Bible: A Commentary (Stanford University Press, under contract). 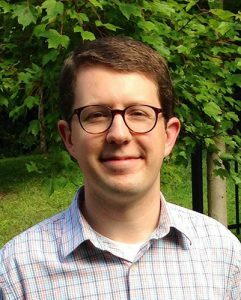 Brad Stoddard is Assistant Professor of Religious Studies at McDaniel College. He is also the President of the North American Association for the Study of Religion and the series editor for the NAASR Working Papers book series. His research explores religion in American prisons, American religious history, religion and politics/law, and method and theory in the study of religion. He is the editor of Method Today: Redescribing Approaches to the Study of Religion and the coeditor of Stereotyping Religion, Critiquing Clichés. He is currently revising his manuscript entitled Spiritual Entrepreneurs: Florida’s Faith-Based Prisons and the Carceral State (in contract with UNC Press). This book offers an ethnography and history of Florida’s faith-based correctional institutions, where it situates these institutions within the convergence of conservative Protestant activism, mass incarceration, and neoliberal reforms. He also regularly teaches college classes in prisons and detention facilities, and has degrees from UC Berkeley, Yale Divinity School, and Florida State University. 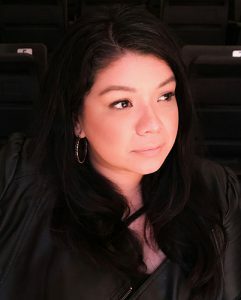 Daisy Vargas is Assistant Professor of Religious Studies at the University of Arizona. Her specialties include Catholicism in the Americas; race, ethnicity, and religion in the U.S.; and Latina/o/x religions. Her current project, Mexican Religion on Trial: Race, Religion, and the Law in the U.S.-Mexico Borderlands, traces the history of Mexican religion, race, and the law from the nineteenth century into the contemporary moment, positioning current legal debates about Mexican religion within a larger history of anti-Mexican and anti-Catholic attitudes in the U.S. Vargas has served as an ethnographic field researcher for the Institute for the Study of Immigration and Religion since 2012. She serves as co-chair of the Latina/o and Latin American Religion section for the American Academy of Religion-Western Region, and as a steering committee member for the Religions in the Latina/o Americas unit for the American Academy of Religion at the national level. She earned her PhD in History at the University of California, Riverside and MA in Religious Studies at the University of Denver. 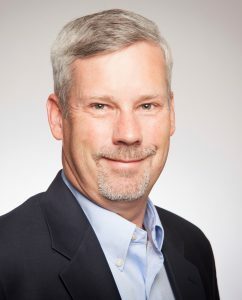 James Bennett is Associate Professor of Religious Studies and Associate Provost for Undergraduate Studies at Santa Clara University, where he has taught since 2002. Prior to that he was Reach for Excellence Assistant Professor of Honors at the University of Oklahoma. He is the author of Religion and the Rise of Jim Crow in New Orleans (Princeton University Press, 2005). His research presentations and publications have explored the intersections of religion and race in the United States, conflicts within American Christianity, religion in the American West, and most recently, new religious movements. His current research project is a study of the Anticult Movement in the United States during the second half of the twentieth-century. He is a co-founder of the Religion in the American West unit of the American Academy of Religion and started the Bay Area American Religion Group. He earned his PhD from Yale University and has held fellowships at the Center for Religion and Democracy at the University of Virginia and the Center for Religion and American Life at Yale University. In 2004-2005 he was a participant in the Young Scholars Program. Laura S. Levitt is Professor of Religion, Jewish Studies, and Gender at Temple University where she has chaired the Religion Department and directed both the Jewish Studies and the Gender, Sexuality, and Women’s Studies programs. She is just completing a book about trauma and loss and how material artifacts make these painful legacies manifest, Tainted Objects: Holocaust Evidence and Criminal Archives (Penn State University Press, forthcoming). She is the author of American Jewish Loss after the Holocaust (2007) and Jews and Feminism: The Ambivalent Search for Home (1997). Levitt is an editor of Impossible Images: Contemporary Art After the Holocaust (2003), and Judaism Since Gender (1997). Laura Levitt is an editor with Tracy Fessenden (Arizona State University) and David Harrington Watt (Haverford College) of NYU Press’s North American Religions Series. She is currently working on a series of new projects that consider the reliquary desires that inform contemporary acts of commemoration.